This restaurant is permanently closed. Zaferon Grill is a new concept restaurant offering a unique experience inspired by Mediterranean traditions and flavors. The ambiance is contemporary, casual and inviting. The open-kitchen design allows guests to watch their food being prepared. Our culinary creations are fresh and nutritious featuring organic, hormone and antibiotic-free meat and poultry, wild caught fish and organic produce finely blended with herbs and spices. All of this is complemented by flat bread baked in-house daily. There will be something for everyone to enjoy at Zaferon Grill. Guests can enjoy freshly blended juices from the juice bar or one of the many items on the menu which also include gluten free, vegan and vegetarian options. We use locally sourced products so long as available, and are committed to sustainable practices. Please contact us for more information on catering. Parking is available both behind the restaurant (accessible via Grove Ave) and along Grove avenue. Some parking is available on Bloomfield Avenue as well as in the surrounding neighborhood. Attentive service. Also was very interested in our feedback, which was given. The chef offered us dessert at no charge for our feedback. Very much appreciated. Will definitely return. Would also like to see the menu offerings enlarged. We met friends for dinner. We had eaten there before and were impressed enough to invite friends to join us. All four of us thoroughly enjoyed our meals. The menu is not huge but had something for everyone. Try it out. Second time at this lovely restaurant. Really enjoyed everything on the menu that we ordered. Very mindful of people’s dietary issues and allergies. Excellent service! We will most definitely be back! Food was well prepared and fresh. I had Halibut over a lovely corn salad and my friend had Lamb which was excellently prepared. The atmosphere was bright and inviting. Delicious. So nice to have this place in Verona. Have the cucumber yogurt soup !! Freshest ingredients and creative combinations...reasonable portion sizes...understated, but beautiful space...BYO. We’ll be back. Wonderful Place: delicious food, so well prepared and served in a very nice setting. Wonderful and accommodating service staff! Delicious food, perfect gathering spot. Wonderful all around. We have a new favorite! Delicious dinner. Best restaurant in the area. This was our first visit and has quickly become one of my favorite restaurants. I love farms to table, organic restaurants and Zaferon did not disappoint. I had the summer salad, yogurt marinaded chicken skewers and pomegranate sorbet with vanilla gelato. Each course will prepared well, nice combination of herbs and perfect proportions and simply delicious. One small criticism was the dressing on the salad was a little to tart for my taste. Overall, a great dining experience and we’ll be back. As always, our dinner was excellent. I started with the grilled octopus, which was very tender, and had the cowboy steak special - perfectly done. My wife had the oysters and then the lamb, which she enjoyed very much. We had a reservation but actually the restaurant was not crowded so we could have just walked in. Not inexpensive, especially for a BYOB, but the food was fantastic. Food was very good but the menu has s very limited selection. Food was awesome and staff really friendly. Love the blending of flavors. Well worth the trip. I have raved about this restaurant and brought my parents along for dinner this Friday night. It was a hit! The restaurant is beautiful, the service is terrific and the food is outstanding. Farm fresh and delicious!! I love that the food is organic, and no antibiotics used in chicken. Great waitstaff and nice combination of Mediterranean and American cuisines. Great location for us as we live in town as well. Top notch BYOB. Love the creative cooking. Great prices for what they serve. Efficient staff. Glad to have Zaferon nearby. One of our favorite restaurants. We've eaten here many times and never have been disappointed. The food is always very good and the service is excellent. We highly recommend it. The service was great- from the front of the house to the wait staff/ everyone was so friendly and attentive. Unfortunately, the food was bland. We had a lovely dinner. Food was very good. If I had gotten this food at a casual Mediterranean restaurant at a fair price and with better portions, I would have been ok with it. They serve up middle of the road semi-Mediterranean cuisine and plate it as if it is elevated Michelin Star cuisine. This place tries too hard and doesn’t succeed. Absolutely outstanding from start to finish. Staff is extremely courteous and attentive but not bothersome. Presentation of dishes was right in line with the best. Every bite was delicious. Kudos to Soody and her entire staff for a wonderful experience. Planning a return trip asap! This was our second time back at this cozy eatery. The live music is not too loud and adds to the dining experience. The staff is attentive and the food is very good. 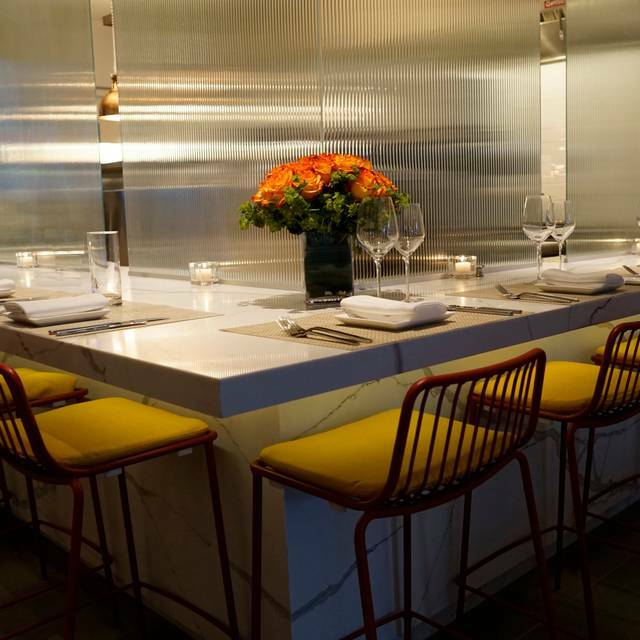 This small, intimate restaurant is a winner. We loved the menu. Small plates are very shareable. We had a delicious flatbread with gruyere cheese and carmelized onions and crispy bacon. We shared grilled octopus which was creatively prepared and barbecued ribs. There were many other items on the menu that were appealing We wish we had room for dessert which we were told are prepared by a French baker. We stopped in for a midweek dinner. We will be back, This is a gem in the middle of Verona. Booked a reservation for Mother's Day not realizing that they were only offering a prefixed brunch menu for the day. Essentially, $30 got you a mixed salad appetizer. A small portion of creatively prepared French toast. Coffee, biscotti and a little mixed fruit for desert. A little steep for the offering in my opinion. None the less, everything was fresh and delicious. I left intrigued enough to give it another try for dinner at some point. Lovely brunch today! All the food was yummy and the wait staff was very friendly and attentive. Will definitely come back. We have visited Zafron Grille in the past and were very happy. They had just changed menus 2 days ago and we were pretty disappointed in the choices. And what we ordered was not that great. 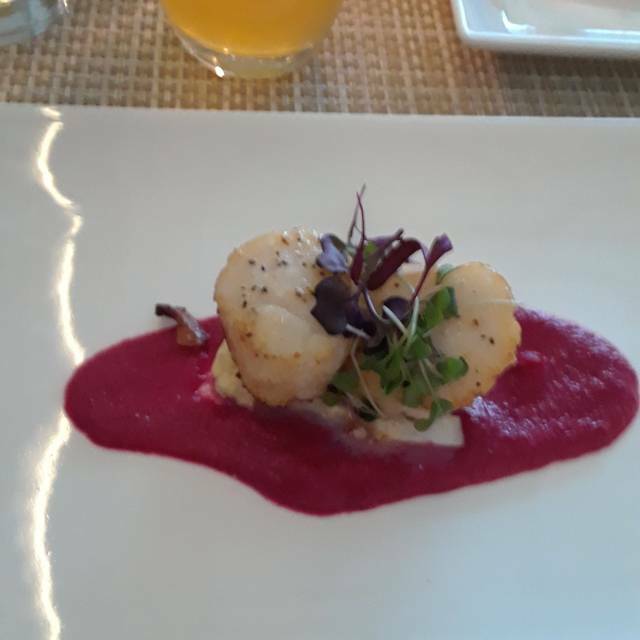 The lamb dish was not even available and the lobster dish was very dry. The choices were so limited (and no specials), left 2 in our party to choose the salmon burger and the kabobs, which we just ok and not what we expected that we would be ordering for a nice dinner out. 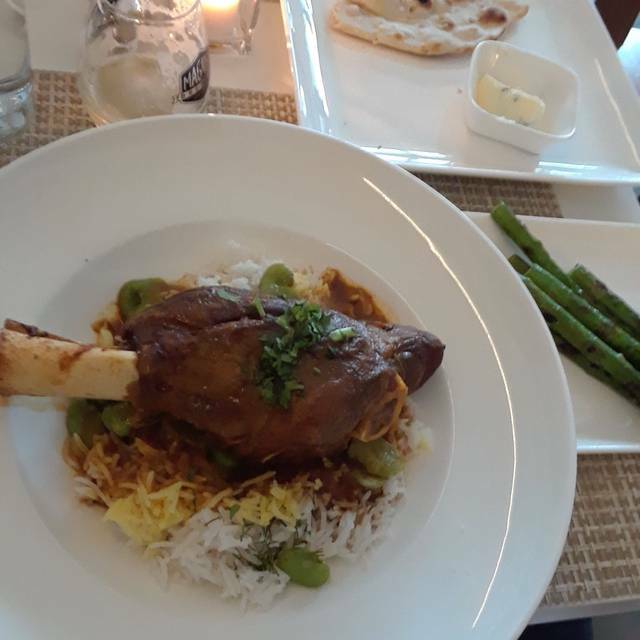 This past Saturday, we ended a wonderful afternoon listening to the London Symphony Orchestra at NJPAC with another remarkable experience in Verona dining at Zaferon. What a lovely restaurant! The elegant yet casual atmosphere was a perfect transition after that great performance. I had a delicious duck comfit as an appetizer and superbly cooked grilled halibut as an entrée but still I could not resist tapping into my husband's truffle sauce fettuccine that was superb. The lime tart for desert was the perfect ending to an overall fantastic day. We will do it again! great brunch, wonderful ambience - great find in Verona! We are regulars and always find the service friendly, the food fresh and delicious and the atmosphere welcoming. Creative twist on American cuisine. For example the bread served was one large flat bread to tear and share with your friends. It was served with thyme butter. Highly recommend the braised short rib flat bread. From the tapas menu, the fettuccine alfredo was decadent without being overly rich and the portobello mushroom with crunchy lentils was satisfying as well. The burger was cooked to perfection, as was the skirt steak. We were too full to order the modern takes on classic desserts that we saw other patrons thoroughly enjoying. Next time when we come we will save room! Enjoyed the ribeye for two, asparagus and spinach. Delicious. Loved our dinner and regret not going to this newer restaurant sooner. The meal and service were terrific and both the the dining room and ambience were lovely as well. A delightful surprise. I have already recommended Zaferon to friends and family and look forward to returning myself. Place is very modern,. I had the roasted chicken which was absolutely delicious, on par with the best bistro in Paris. My husband had the halibut which was also excellent!